Using these consistency conditions, we determine the the ordering, payment, delivery and product complaints which are offered on this site. Adriaticatransfer.com website can be used for your private purposes free of charge for the use, according to the following terms and conditions. Seller is Adriaticatransfer.com, and the buyer is the visitor of this website who is filling the electronic order, send it to the seller and is making payment via credit card or cash on delivery. Customer orders service through an electronic order form. 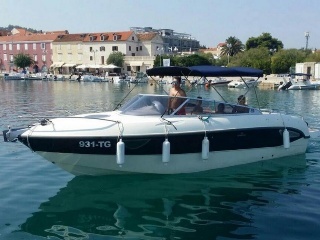 All prices are in Croatian national currency, the Croatian kuna (HRK), with VAT. The buyer has the additional ability to view prices in euros. Services are ordered electronically, and are considered to be ordered when the customer chooses and confirm payment. Ordered services can be paid online with one of the credit and debit cards: MasterCard ®, Maestro ® or Visa. exact look of the product and the customer can not complain about this part. In case of legal dispute, the competent will be the jurisdiction of Commercial court in Split. In case that a customer does not get the ordered product or service, the customer has the right complainant within seven days. If the client has not received a service requested. The funds will be credited to the customer's account within 15 working days. The company reserves the the right to change these terms and conditions. All the changes will be applied to the use of adriaticatransfer.com page. Buyer is responsible for the correctness and completeness of the information when purchasing. computer equipment and services to access to our site. The company is not responsible for the cost of phone, Internet traffic, or any other expenses which may occur. info@adriaticatransfer.com the in order we can remove it in the quickest possible way.